Welcome to the Festival of Dreams! An ongoing Santa Cruz experience that is now in its third year… and it’s going to be bigger and better than ever! 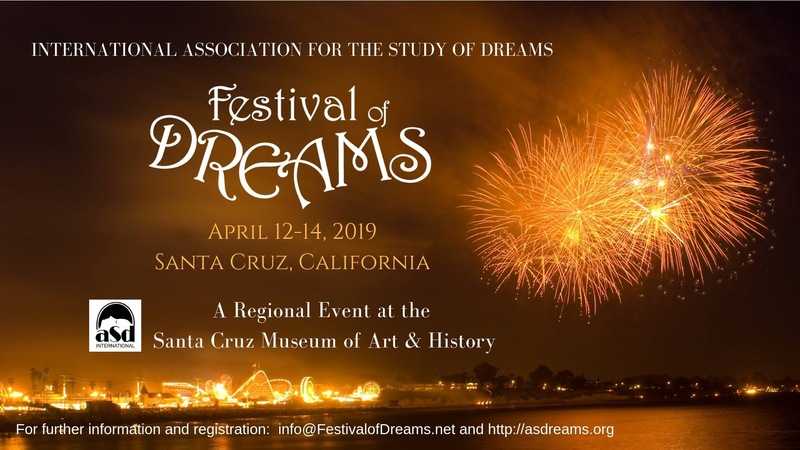 For the first time, we are proud to be partnering with the International Association for the Study of Dreams (IASD), the world’s premiere dream organization, as a California Regional Event. The Venue • Santa Cruz is truly a one of a kind city! 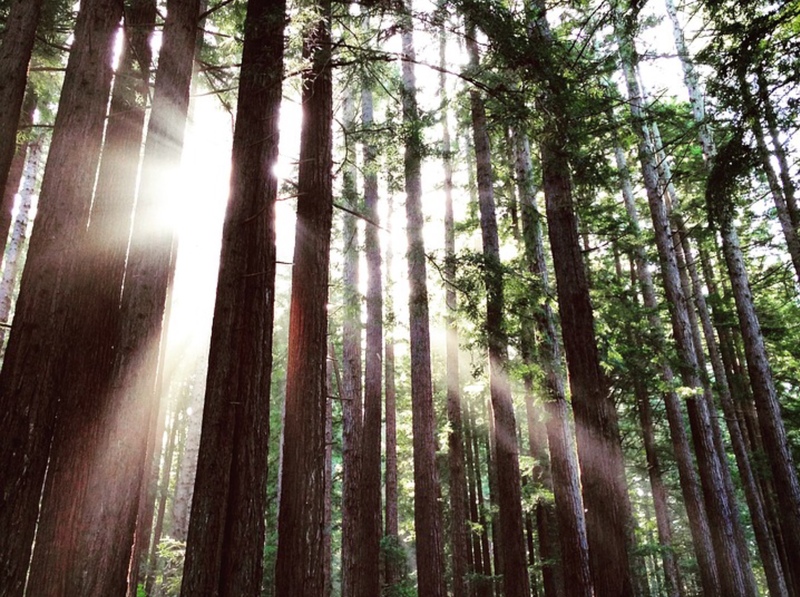 Known for its spectacular natural beauty of dramatic sea cliffs and towering redwoods, bustling art scene and quirky locals, it is the perfect backdrop for a dream gathering. 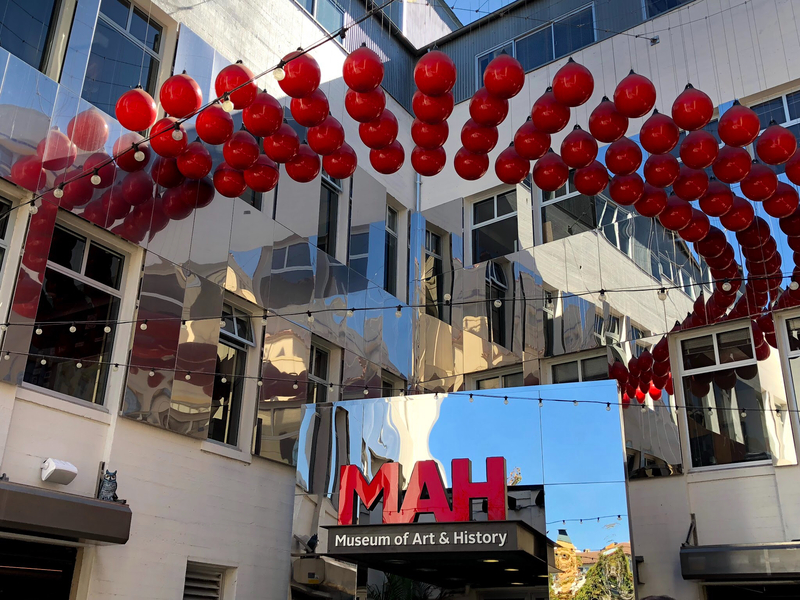 This year we are proud to have our event at the Santa Cruz Museum of Art & History AKA “the MAH” in the heart of downtown Santa Cruz. Known for their ‘only-in-Santa-Cruz’ events and exhibitions, this dynamic and gorgeous space is the perfect venue for gathering dreamers. 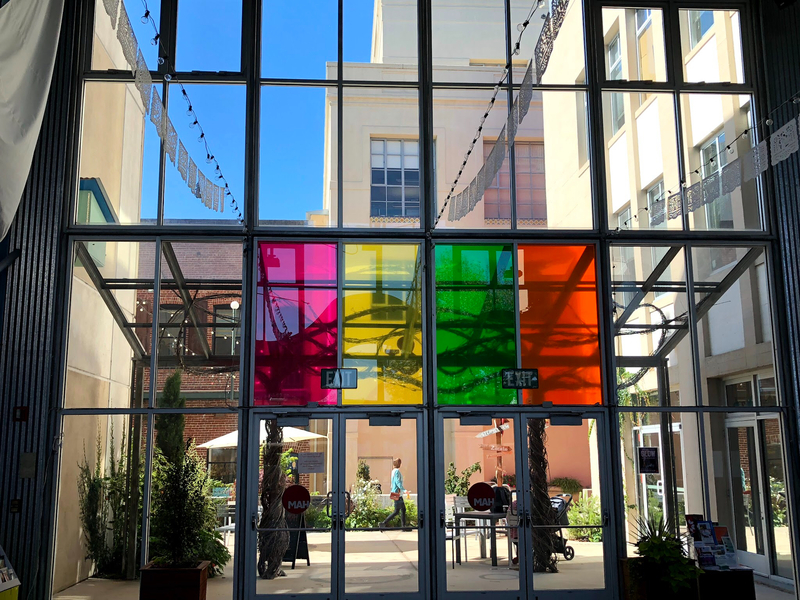 The downtown plaza, Abbot Square, is a new addition to the MAH and includes the museum’s main entrance, pop up restaurants and bars with delicious food & drink in the Abbott Square Market. In the main courtyard art, history, and cultural events are ever present, and the Secret Garden is an oasis designed for families. (also see Lodging). 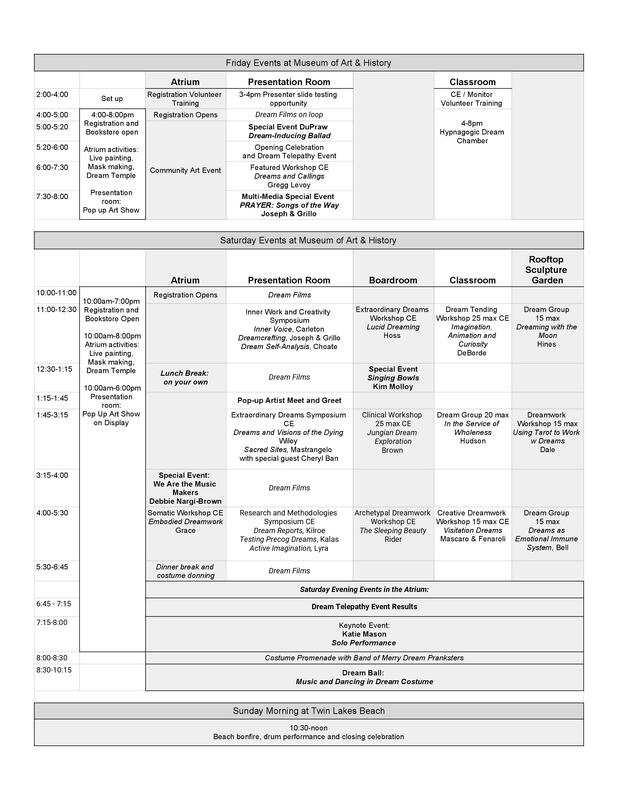 The Event • Friday evening will highlight community events with interactive experiential workshops and art opportunities, live performances and psi games; Saturday, April 13 is the heart of the experience: an all-day event including invited speakers, presentations, workshops, dream groups, and special events such as dance performances, a display of dreamy short films and a pop-up art gallery. The day will be capped off with a fabulous Dream Ball on Saturday evening, so get your costume ready! On Sunday morning, April 14th, we will conclude with a BEACH BONFIRE to enjoy the natural beauty of Santa Cruz and to cap off our time together with a closing ritual.